The Hanna Perkins Center traces its roots to the legacies of two of Cleveland’s most socially-conscious and philanthropic families, the Hanna and Perkins families, and to their supportive involvement with the Day Nursery Association of Cleveland. This was the eventual name of the Young Ladies’ Branch of the Women’s Christian Association organization, founded in the 1880s to focus on the welfare of Cleveland’s children. As detailed in Eleanor Hosley’s A Century for Children – A History of the Day Nursery Association the first nursery or day care center for children in Cleveland was opened in 1880. At the time it was one of only six such centers in the country. Two more centers, eventually named in honor of the Mather and Perkins families, were opened within the next two years and another, named in honor of the Wade family followed five years later. The training of teachers soon became the focus of this organization of women who, by 1893, had renamed themselves the Cleveland Day Nursery and Free Kindergarten Association – the name they would have until 1931 when they became the Day Nursery Association of Cleveland. By 1900 there were 93 graduates of the teacher training program. By 1910 the Association was operating 10 kindergartens within the city of Cleveland. It continued to expand and in 1915 the Samantha Hanna Kindergarten, named for the mother of Mark and Lillian Hanna, was founded. In 1919 it was housed in a new building adjacent to the Perkins nursery. These buildings were razed in 1960 to make room for the construction of the interstate through downtown Cleveland. Shortly after, as our former building was being constructed on Cornell Road in what came to be known as University Circle, Louise Humphrey (great niece of Lillian Hanna Baldwin) and Gertrude Oliva (a descendant of the Perkins family) took up the cause to raise money for the new building. It was named the Hanna Perkins School. In the summer of 1961 the Hanna Perkins building was completed and opened. As she became known in the Cleveland community, parents of young children began to ask Dr. Anny for advice and guidance. Recalling Freud’s work with the parents of Little Hans, and remembering her own work with mothers on behalf of their children in war-ravaged Holland, Dr. Anny – with the support of Ms. Hosley – envisioned a therapeutic nursery school where children would be helped to become ready for school while their parents received guidance and support in fostering their children’s development. This dream came to fruition in 1951. Originally known as the University Hospitals Nursery School, the program for 3- and 4-year-old children operated out of a house in University Circle. Situated in a neighborhood bordering the campus, the house, with its bright red front door, was commonly known as the “Children’s House.” Throughout the 1950s it was in this setting that Dr. Anny and colleagues she recruited from Anna Freud’s child therapy training program in London worked to further develop and refine the “treatment-via-the-parent” method that we still use in our school to this day – a treatment approach uniquely suited for preschoolers. Dr. Robert Furman became Director in 1958. One of his first challenges was to assist Dr. Anny in her wish to train a new generation of therapists to work in the school. 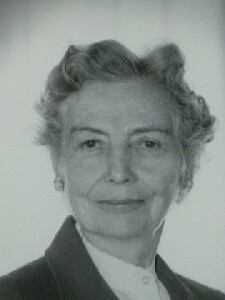 Along with Marion Barnes who had already received training from Dr. Anny, and her associates recruited from Hampstead who by then included Alice Rolnick, Joanna Benkendorf, Erna Furman and Elizabeth Daunton, they inaugurated what continues to this day as the Hanna Perkins Course in Child Psychoanalysis – a child psychoanalytic training program that was originally made available only to non-medical candidates. It was with this program established and the school 10 years old that the move to a new building at 2084 Cornell Road in University Circle was accomplished in 1961. 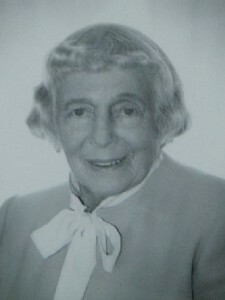 For more than 30 years Dr. Furman continued as the Director of Hanna Perkins. These were important years characterized as much by expansion as consolidation. With regard to the School, the move to the Cornell building brought the opening of a kindergarten classroom to compliment the original nursery school program. In 1985, under the leadership of Mrs. Furman, who, during her 50 years of service to Hanna Perkins became its most widely published author and professional educator, our Toddler Program was developed. Regarding the course in child analysis, there were tumultuous years in the late 1960s when a decision was made by the Department of Psychiatry at Case Western Reserve to no longer sponsor and support the program. This led in 1967 to the founding of the Cleveland Center for Research in Child Development (CCRCD), which took over the training program as well as the clinic which provided a place for those in training to work under supervision with children in analysis. The period between 1967 and 1979 was largely a time of consolidation. At regular 3-year intervals new candidates were accepted into training as their predecessors progressed and matriculated. The School flourished during these years of full census, and much work and research was accomplished on behalf of children and their families. It was a time that saw the publication of three books: The Therapeutic Nursery School, Not by the Color of Their Skin, and A Child’s Parent Dies. The Center also began expansion of its courses and consultation groups to the wider preschool community beyond the Day Nursery Association. Even as this was a time of internal solidification, it was one of external transition. After Ms. Hosley retired as DNA Director in 1971, steps were gradually taken to merge the DNA and a number of other community social-service agencies to form a new entity, the Center for Human Services (today known as the Centers for Families and Children). By the late 1970s the decision had been made by CHS to discontinue its nursery school programs, even as it would keep open its day care centers. After numerous discussions between the boards of CHS and CCRCD, the decision was made that Hanna Perkins belonged to neither agency but to the people of Cleveland, and that it should be operated as an independent entity. In practice though, the decision was also made that the Board of Trustees of CCRCD would be available to function simultaneously as the new Board of the autonomous Hanna Perkins. As part of the negotiations, it was also determined that the Cornell Road building would remain the property of Hanna Perkins. A final step in the transition process was when United Way agreed to keep the now independent Hanna Perkins in its group of supported agencies. This was accomplished, in part, by responding to a recommendation from United Way that we further expand our consultation work, something that was accomplished with the establishment of several outreach sites where we have maintained our consultation relationships ever since. The decade of the 1980s was also an active one. We inaugurated our annual meeting, now known as the Hanna Perkins Symposium/Forum. Several colleagues became interested in developing psychoanalytic schools in their communities and today there are schools established in Chapel Hill, Houston, Ann Arbor and Washington, D.C.
We began to publish our own journal, Child Analysis: Clinical, Theoretical, and Applied. With the development of the Toddler Program, a toddler development research project culminated in the publication of Toddlers and their Mothers. Other books published during that time were What Nursery School Teachers Ask Us About, and Helping Young Children Grow. In 1989 Dr. Furman took to the Board his recommendation that a search be undertaken to recruit a new director for the School and Center. Dr. Thomas Barrett accepted the invitation to become Director, following a year of transition, in the spring of 1991. One of Dr. Barrett’s first tasks was to recruit additional candidates to the Course in Child Analysis. This was accomplished through the implementation of two initiatives. The first was to establish opportunities for psychology interns and post-doctoral fellows as well as social work field placement students to come to Hanna Perkins for a year of supervised study and training. After this was implemented in the 1994-1995 academic year, it began to occur that some who came elected to stay on to pursue full training in child analysis. Another initiative to help make such training more affordable was the implementation of a Loan/Scholarship program which provided funds to reduce the costs of a candidate’s training analysis. To provide for training opportunities for the students, interns, and fellows it was necessary to expand our clinic services to offer psychotherapy to a greater number of children. 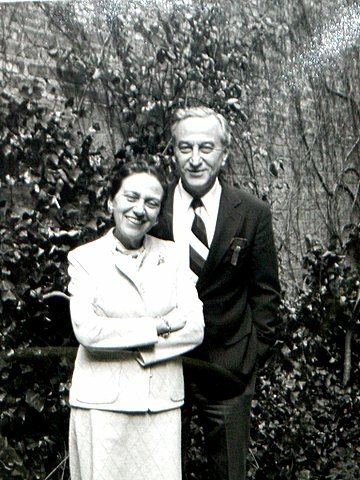 Gradually Hanna Perkins became known in the community as a resource for such services and by 2000 clinic services had expanded so that more than 6,000 hours of psychotherapy and psychoanalysis were being provided annually. As a consequence, it became necessary to increase our office space. In 2000 we began to rent space at a facility in Westlake, which also enabled an expansion of our clinic services to a westside population. Throughout this period of expansion, however, service fee revenue did not similarly increase. This largely occurred because we were serving a predominantly poor population. Even as we remained steadfast in offering our services on a sliding scale basis, particularly in the School we endured a period of several years when our census was below capacity. We came to realize that University Circle was no longer an area where families could be expected to bring their children on a daily basis for school or therapy. In November 2000 the Board of Trustees began to consider relocating. In December we learned that the Malvern School building in Shaker Heights would be vacated in June 2002 by its then-tenant, the Solomon Schechter School. After visiting the building we realized it could well serve our needs so we began work with an architect, designer, and construction manager to prepare to respond to a “request for proposals” issued by the City of Shaker Heights in June of 2001. Following a strong presentation to the Shaker Heights City Council in November of that year, we were gratified to learn a few weeks later that our proposal had been accepted.